Porcelain Insulators > 2-tone glazed, mini Hi-Top porcelain insulator - special? 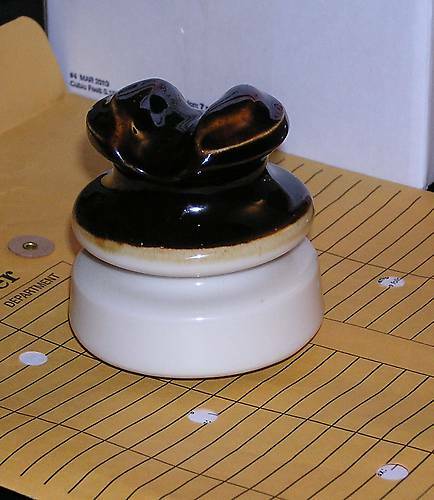 2-tone glazed, mini Hi-Top porcelain insulator - special? This is a mini, Hi-Top style porcelain insulator with actually three color glazes. The base is a cream color, the top brown and the pinhole is black glazed. Insulator has no markings. The brown glaze doesn't look like radio treatment to me but what do I know. It just looks different from everything else I have seen. Is it special?